Wearable tech is one of the hottest new trends taking shape in the gadget and accessories market. Not only are these connected devices you can match with outfits or wear for a statement – they are also helping us gather information, be more efficient and live better. Apple’s Watch and Google Glass are arguably two of the most talked about wearable tech offerings – but there are already hundreds – if not more - wearable tech gadgets on the market doing well with users. Aside from fashion statements or using wearable tech to escape a bad date, many people have already been using wearable devices to track and assess their health and fitness. In fact, a recent study from ABI Research says activity trackers are becoming the more popular wearable tech because their use case is very clear. 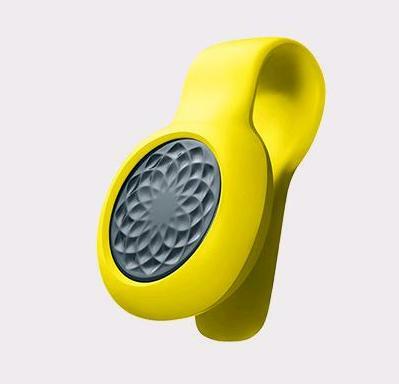 Sales for the first quarter of 2014 for activity trackers shipped totaled 2.35 million units. Jawbone is a maker of Bluetooth wireless technologies that and has already seen success with its UP line of health and fitness trackers. Now, the company is taking things a step further and has introduced a new tracker called the UP MOVE that is targeted at the entry level market and is priced at only $49.99 (with free shipping on the website). This price point will easily make the item appear on the wish lists of many this holiday season. It’s also priced well below some of the less innovative health trackers on the market already. The UP MOVE is a small clip-on device that measures 27.64mm L x 27.64 mm W x 9.75H and weighs 6.8gm. It is made of nylon-like material, anodized aluminum and medical grade TPU rubber and while it can’t be fully submerged in water, it is splash proof - for those intense workout sessions when sweat is rolling. It also comes with an LED display and CR2032 Lithium Coin 3V 225mAh battery that lasts up to 6 months and comes in color options - always a good move with entry devices to get appeal from a wide audience. Also included with the device is a SmartCoach guide, filled with practical tips and advice on how to make changes for better health. Users can also track things like steps taken; calories burned, and even make sure they are getting enough hours of quality sleep to stay healthy. I expect to see lots of these clipped to people this coming January when I hit my local gym to start on my own New Years Resolution.